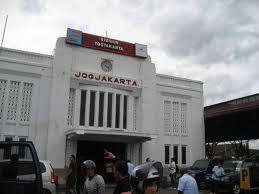 backpacker indonesia : Presumably there was no dismissal of the train station which was located sestrategis Tugu Yogyakarta. How not, the main station in this warm city located right in the heart of the city and close to many interesting tourist attraction. Off the train at this station, you do not need to waste time to reach the hotel and shopping center. Malioboro which is located just south of the station offers a number of star hotels and jasmine as well as traditional and modern shopping centers. 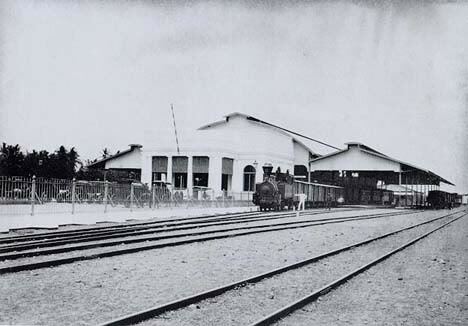 Tugu station began serving the transportation needs since May 2, 1887, approximately 15 years after Lempuyangan. Originally, this station used only for transit railway transport agricultural produce from areas in Java, Sumatra, Kalimantan and Sulawesi. But since a Febnruari 1905, the station began to be used for transit passenger train. The outer lane of the first cities built in 1899, connecting Yogyakarta and Surakarta. Starting as a small station, Tugu station has now become one of the largest stations in Indonesia. Has six train lines, this station serves the transportation of almost all major cities in Java. More than 20 train departures and arrivals take place every day, both railway economics, business and executive. There are various offers train and departure time to get to certain areas so you have many options. Because built during the Dutch colonial, then the architecture of the building is so thick with the feel of Europe. Once off the train, you'll instantly recognize it from the doors of large brown and high ceilings established by the color of a white wall. You can also enjoy the charm of the station building, which until now still maintained its originality from the front. The building looks magnificent with large door and two roof itself over the railway line. Tugu Railway Station is one of the big stations that still retain its function as a place to train maintenance, unlike the large stations generally are now only as a transit point. Therefore, you can travel to the corners of the station to witness the activities of the mechanic's aging trains and train stations to trace this. Some employees at this station enough to know the history of the station, so be invited to chat. When heading to the west side of the station, you will see where the train locomotive repair. You must be amazed to be studied in detail each component in the locomotive. In fact, you can observe the machine from below because there is a ladder to the bottom of the locomotive 'parked'. Not far from there, you can see the ancient statue of a black train is also interesting to enjoy. Walk a little to the south, you can see where repairs railroad cars. Although not get in, you can peep from the iron fences surrounding blue-white color. Looked up, it would seem sebuat train parts are placed in the yellow tower. It is fitting parts crane train carriages that have been used since the Dutch era. If you walk north, then you will find the train janitors. If you are coming or leaving during the evening, then sempatkanlah to stand between channels 4 and 6 and look to the west. Beautiful sunset scenery will be seen when the sky is clear, combined with rail-rail trains that the farther it will look like the lines that eventually merge into one point. The presence in the tower crane and train street children who brought the music scene will progressively add keeksotikan dusk. Satisfied to enjoy the beauty of the station, you can start your tour in Yogyakarta. Various transportation means of transportation available at this station. You can ride pedicabs to the Sultan's Palace and sales in Pathuk bakpia. If you want to travel some distance, you can use the city bus or taxi, as if going direct shopping, you just walk up the Malioboro which is located right in the southern part.